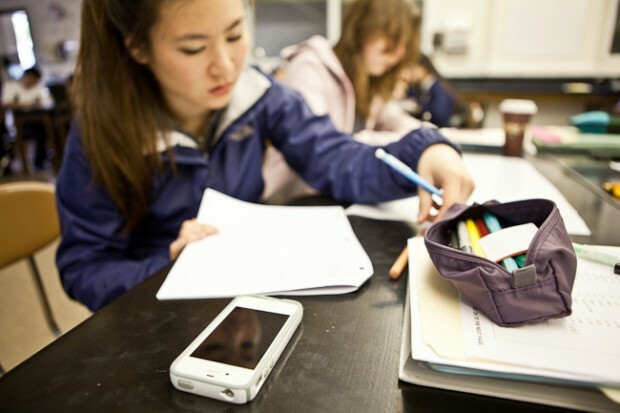 As more schools start to integrate their own mobile learning strategies and Bring Your Own Device policies, one school district in a suburb of Houston has managed to come up with what appears to be a successful BYOD program. Katy Independent School District (ISD) has a student population of 63,000 students and 56 schools – elementary, middle and high schools. There are 83 languages spoken by students in the district and 31 percent of the student population is on free or reduced lunch programs. In 2009, Katy began a three-year plan to change instruction in the school district by promoting a standardized toolbox of web-based tools dubbed “Web 2.0.” They also set out guidelines for behavior in the digital space called “Digital Citizenship,” in the hopes that the school would not just teach kids math and reading, but also how to behave in a public digital world. But first, the school district needed to understand the ins and outs of mobile learning. Lenny Schad, the Chief Information Officer for the district led the effort who has become the go-to guy for educators looking to implement their own mobile learning strategy has one primary piece of advice: Mobile learning is a holistic educational plan, not just introducing technology into existing structures. “Mobile learning is all about changing instruction. Because if the instruction doesn’t change, allowing the kids to bring their own device will do nothing,” he explained in a recent EdWeb webinar. Schad stressed that the teacher’s role in a mobile learning classroom changes significantly. Rather than standing up front or sitting behind a desk and transmitting information, kids are doing a lot of the learning on their own. The teacher’s job is to get up, walk around, monitor the kids’ progress and make sure they're staying on task. “It completely changed the dynamic of the classroom,” Schad said. The students became excited to demonstrate what they had learned or how they worked out a problem. And they didn’t seem to mind school work anymore -- Schad said kids played educational games for hours without realizing they were learning. The district rolled out its mobile learning strategy slowly, at first only focusing on the early adopters from the teaching staff, and a limited group of students. The district gave out 130 mobile learning devices to fifth-graders. The devices were web-enabled, but could only access sites approved on the main network. Phone and text functions were turned off. Students loved it. Schad said they were immediately more engaged in the classroom and student achievement scores went up. So, in 2010 the district expanded the program to 11 campuses and handed out 1,700 devices. Katy put together an approved package of mobile learning tools for teachers, part of the Web 2.0 kits. They use Edmodo, a social networking site for teachers and students to share information about school work. Shad is also excited about Discovery Education, a tool that allows students to bring the world into the classroom. For example, a student could build a virtual circuit on a tablet, and understand the process by actually doing it. But mobile devices are just one set of tools in the district's toolbox. Schad says there are times when mobile learning works best, often in math and science, but at other times laptops or pen-and-pencil instruction are more appropriate. “Part of this education we’ve going through for the past three years is helping our teachers to understand when it's appropriate to use this and when it's not,” he said. After all the groundwork Katy had been laid to test mobile learning with students, teachers, and parents, the BOYD program seemed inevitable -- a natural progression. Teachers wanted more devices and that was an easy way to get them. At the end of the three-year implementation, the district surveyed students and found that 77 percent were bringing their own devices to school, 54 percent of which were smartphones. They also surveyed their 4,000 teachers, got 1,609 responses and found that 33 percent of those respondents were already regularly incorporating BYOD into instruction. Another 46 percent said they would use BYOD more if they had more devices. Schad attributed the hesitancy of half the teachers to concerns over equity – teachers didn’t want to use BYOD if not everyone had a device. Schad said that could be easily solved by having students work in teams – a student without a device collaborates with a student who does have one. Schad explained that at the beginning of the program, middle school students were only allowed to bring out their devices when directed to by a teacher. They were not allowed to use them at lunch or when passing in the halls. However, the high school students were allowed to have theirs all day. Schad said when establishing these rules restricting use, students behaved more responsibly. “It changed the tone and helped with the kids understanding of digital citizenship, when it's appropriate and when it's not,” he said. There were so few problems with abuse that this school year the district loosened the middle school rules to mirror the high school. As for funding, Katy received a number of grants that helped the district upgrade its Wi-Fi, which helped kick-start this initiative. Schad estimates that each device costs about $100 and the data plan costs $34. That doesn’t include any of the costs of maintaining the system like training, outreach and the other support roles that made the Katy three-year plan a success.